Located only 90 minutes from Melbourne, Phillip Island on Victoria’s Bass Coastline makes the perfect weekend getaway: Rugged surf beaches give way to spectacular coastal formations, kangaroos hop through the wilderness and the land is rich in produce and mother nature’s gifts. The island has a burgeoning food scene, with artisanal producers, vineyards and local restaurants popping up around every corner. Whether you’re into surfing, swimming, nature or just some epic eating, rest assured you’ll be well looked after in Phillip Island. 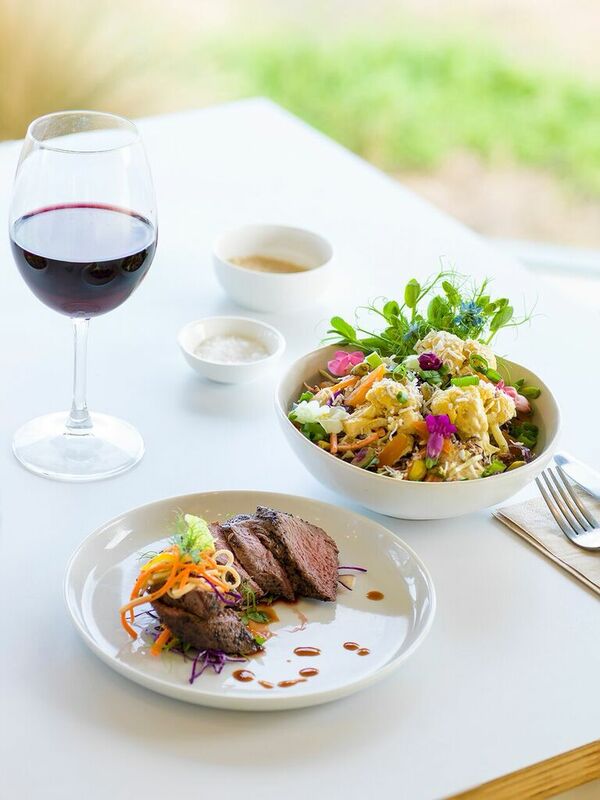 If I were to choose one spot to dine at Phillip Island, it would have to be the Cape Kitchen. 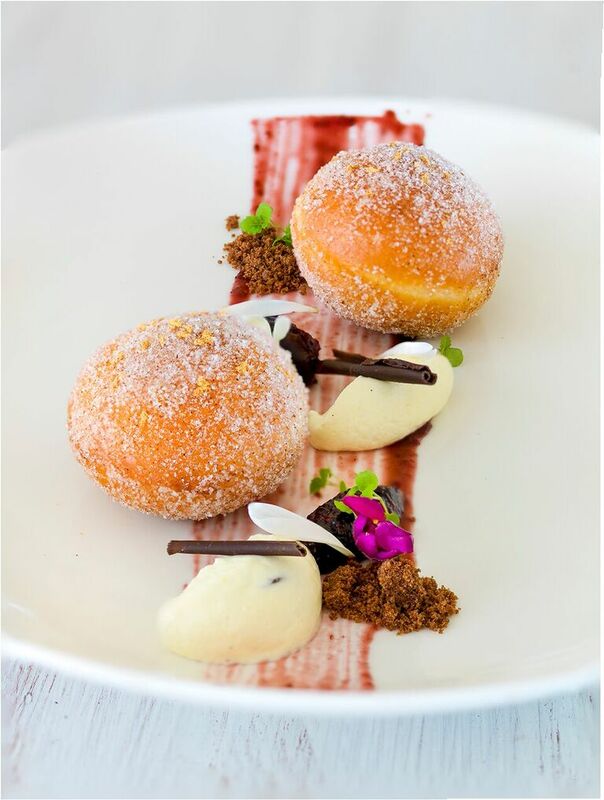 Offering breathtaking views over the Southern Ocean and surrounding coastline, the Cape Kitchen is a destination in its own right. The menu showcases the best of local, seasonal produce, working with local suppliers to create the most mouth-watering, succulent dishes. There’s a confit pork belly, with perfect crackling, a crisp skinned barramundi with pistachio dukkah and double roasted duck with pickled Asian mushroom and duck neck sausage. I’m getting hungry just thinking about it. For something a little more rustic try the Shearing Shed in the outskirts of Cowes, where you can step back in time to 1950s country Australia. Originally a working shearing shed, the restaurant has been nicely converted to take advantage of its rustic charm and lofty ceilings. The bar is the perfect spot to sink into a cosy sofa in front of the roaring log fire to warm your cockles. As for the food there’s a handmade squid ink linguine served with King prawns, scallops and an exceptional Wuk Wuk beef from Grassvale farms aged for 36 months. Who’s feeling peckish? Just thee kilometres down the road is the Rusty Water Brewery, famous for its small batch hand crafted ales and top-notch fare. 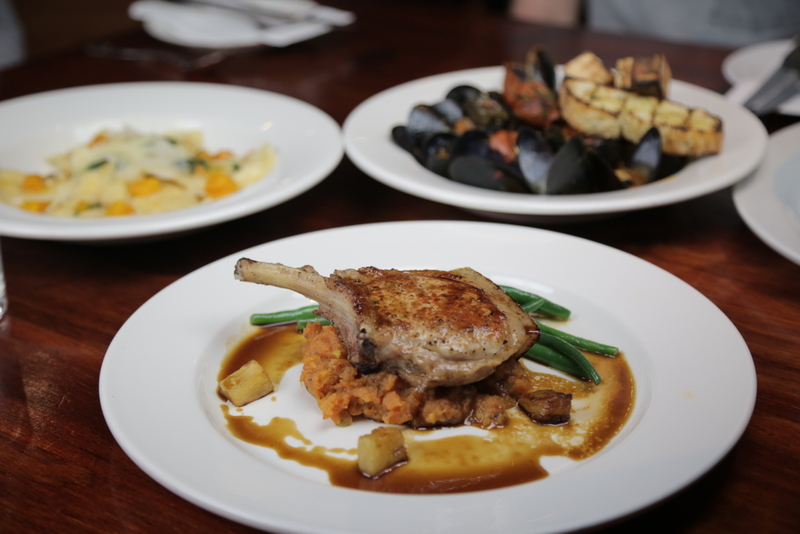 The family run restaurant and bar serves up a great range of contemporary Australian dishes, ales and ciders. Unique flavours are created with the use of specialty malts, yeasts, hops and the addition of things like oak, orange, vanilla and spices. Don’t miss the exceptional seafood, washed down with one of their beer paddles. On Friday nights you can enjoy live acoustic music, either on the picturesque outdoor deck or by the crackling wood fire inside. For $22 the sharing plate is great value – chock full of dips, chorizo, cheese, olives and turkish bread. For a little slice of Italy in Phillip Island, head to Pino’s Trattoria in Cowes. This is one of the Island’s best known restaurants, serving hungry locals and tourists for decades. The family run business offers no fuss authentic Italian fare and is known for the best pizza and pasta in town. Overlooking the Bay of Western Port, the Purple Hen winery is perfectly positioned to enjoy breathtaking views of Swan Inlet, Churchill Island and Denne Bight. Purple Hen began in 2001 when Rick Lacey and Maira Vitols purchased the 32 hectare property. In 2005 an on-site winery was established followed by the cellar door in 2006. The winery offers premium cool climate wines with strong varietal character. It’s a great spot to unwind, drink some wine and enjoy one of their sumptuous cheese platters. 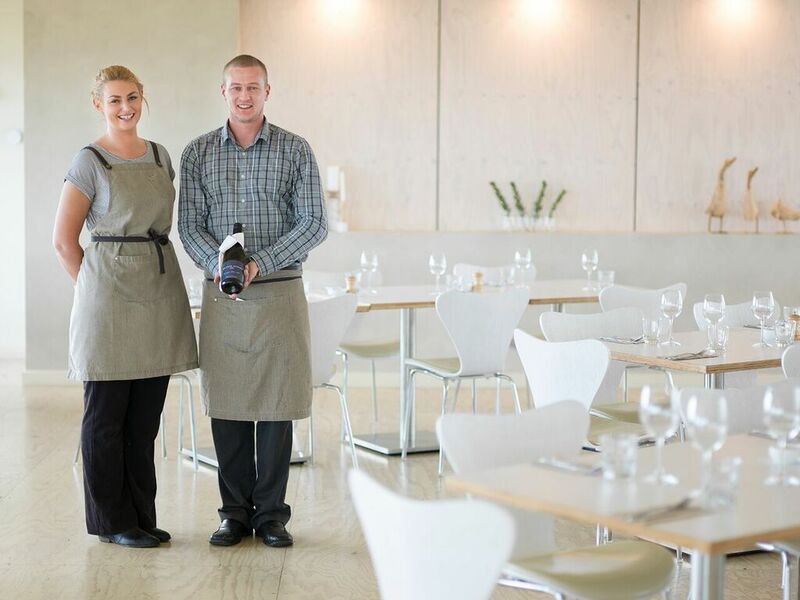 In Ventnor the Phillip Island Vineyard and Winery is set in an idyllic rural location. The small vineyard produces Chardonnay, Sauvignon Blanc, Merlot, Pinot Noir, and Cabernet Sauvignon grapes from the Berry’s Beach Vineyard. Enjoy a glass of wine or two in the winery while enjoying spectacular views over Bass Strait and Berry’s Beach. Don’t miss the Ploughman’s Platter filled with fresh-sliced meats and cheeses in their cottage-style cellar door. I couldn’t think of a better way to start the day than a breakfast by the water front at the Cape Kitchen. 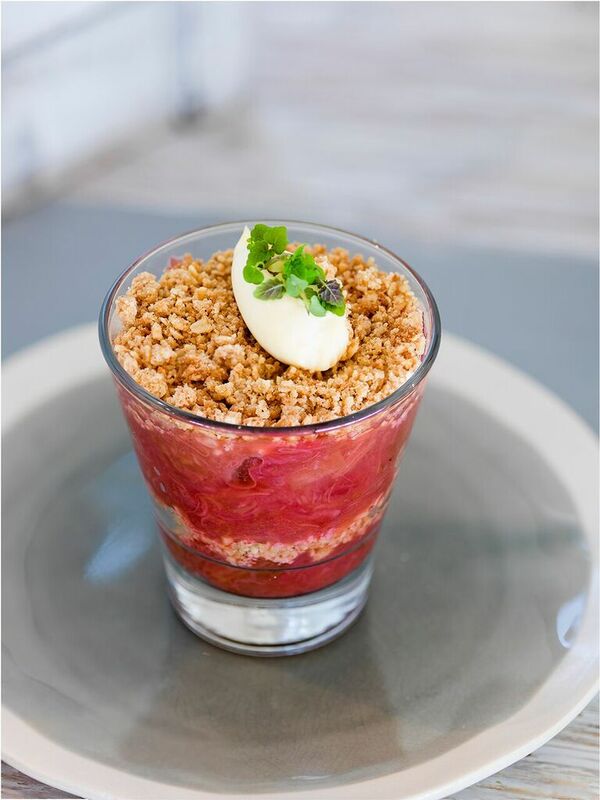 On the breakfast menu there’s a lovely granola which is baked in house paired with rhubarb, poached pear and berries. For something a little more substantial try ‘The Full Basket” with two free range eggs cooked how you like, bacon, mushrooms, tomato, sausage and potato herb roesti served on toasted sourdough.And with a perfectly brewed Axil Coffee, how could you possibly say no? Only a stone’s throw from Cowes Beach, Harry’s on the Esplanade offers spectacular views of Cowes Beach and the Mornington Peninsula. Breakfast is available Saturday and Sunday from 10am and offers all the classics like smashed avocado, bircher muesli and eggs all ways. Just downstairs on the Esplanade is local favourite MadCowes Cafe. For over 14 years the cafe and food store has been serving up top-notch casual breakfast and lunch options. Sweet tooths will love the hotcake stack with chai cinnamon butter and maple syrup. Or for something a little healthier, their coconut and chia tapioca pudding served with fresh fruit, goji berries and raw cacao goes down a treat! 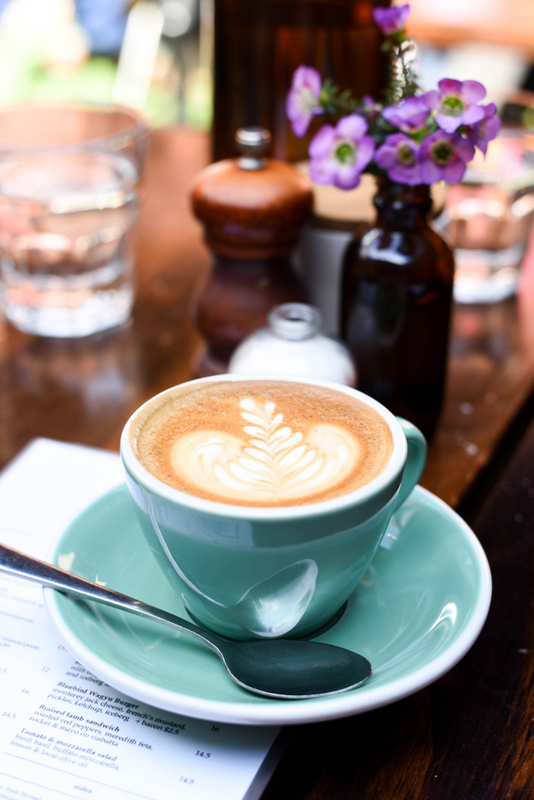 If you’re looking for the best coffee in Phillip Island, make a B line to Mendl’s Coffee House which brings the Melbourne coffee culture to Cowes. At Mendl’s they take their coffee very seriously and even use coffee from one of my favourite roasters in Melbourne – Industry Beans. The espresso house blend is the “Fitzroy Street” 40%Indonesian 40%Colombian and 20%Salvadorian with sweet citrus, plum and chocolate taste notes.Whether you’re looking for a flat white, long black or Aeropress, coffee fans will be well looked after here. Over at Newhaven, The Big Wave Cafe is another hidden gem, nestled behind the Rip Curl surf store. The Big Wave team are declared purveyors of boutique coffee, offering the Botero Brass Blends exclusive to Phillip Island Victoria. The menu features quality house handmade daily creations and healthy options. Vegan and raw food options also available. Beand, a handcrafted micro coffee roaster and eatery, is also a reliable option for a quality brew. Located in San Remo, Beand source the best green coffee beans from around the globe and roast in small batches only to deliver the freshest coffee. Don’t go home without trying their home-made FAB fudge. Whether you’re interested in seals, koalas or penguins, wildlife lovers will be in for a treat at Phillip Island. An absolute must visit is the Penguin Parade. Each night at sunset, visitor’s will have a chance to see dozens of little penguins waddle to the safety of their homes in the sand dunes. Just be sure to bring something warm on a chilly night, it does get rather chilly sitting on the beach. 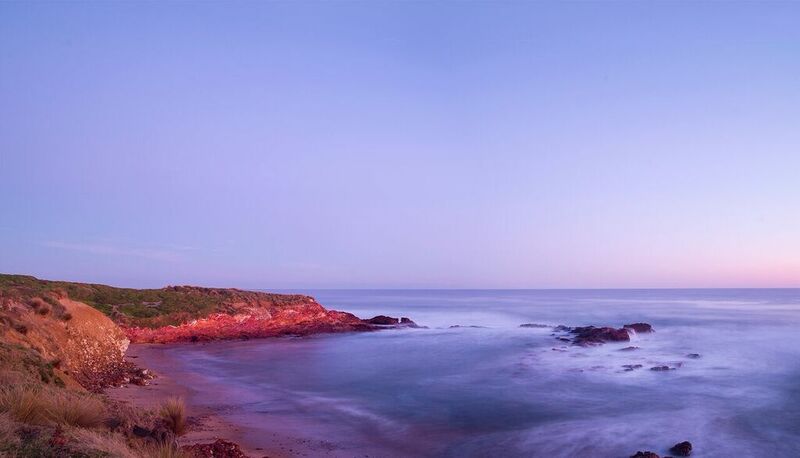 Venture to The Nobbies and stroll along the boardwalk for breathtaking views along Phillip Island’s rugged coast. Keep an eye out for the thunderous blow-hole, the sea-bird gardens and nesting silver gulls. From the Nobbies, you can also see the seals at Seal Rocks, home to Australia’s largest fur seal colony. Just make sure to bring your binoculars! Smiths Beach is a great spot for a surf or a walk along its beautiful beach. Another great spot for a meander is Churchill Island, a tiny island open to the public as a historic working farm. There’s also a licensed cafe on site with spectacular views of Western Port. Car fans shouldn’t miss the Phillip Island Grand Prix Circuit. Adrenaline junkies can buckle in for a hot lap lightening ride around the circuit with an experienced racing driver. Or you can test your skills on the neighbouring Go Kart track, a replica of the Phillip Island Grand Prix Circuit. Silverwaters Bead and Breakfast ($$) A nice bed and breakfast option in Cowes. Hilltop Apartments ($$) Stylish and modern apartment accommodation in the heart of Cowes.